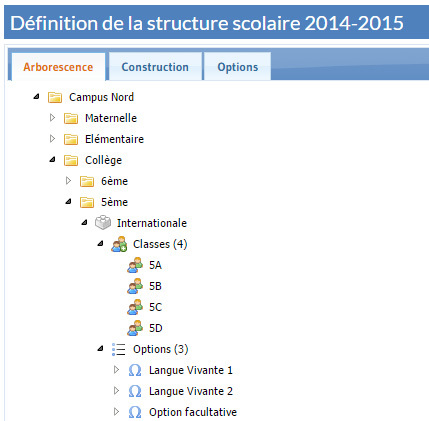 The School structure displays all levels of curriculum, classes and options offered to students. 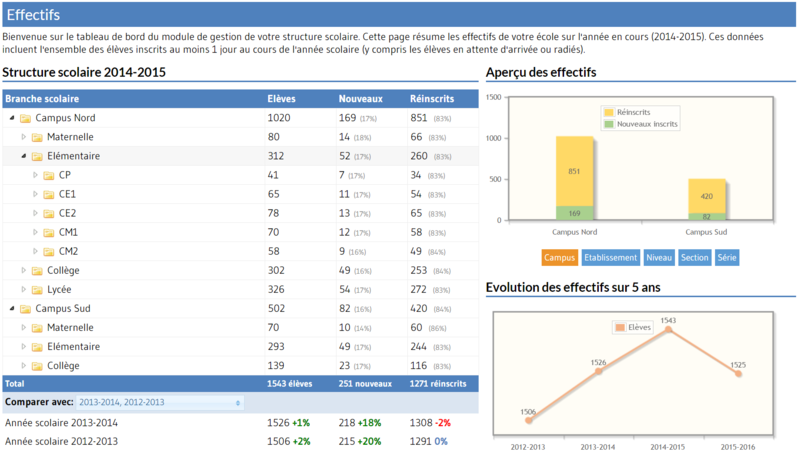 Set up by year, school can analyse trend and organise recruitment according to student enrolments and levels . With School structure module, it is possible to track and monitor in real time students enrolling, re-enrolling or withdrawing from the school. 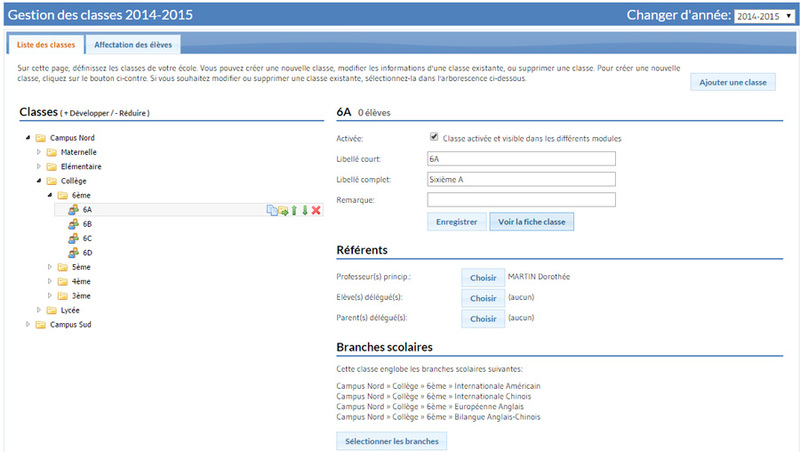 With School structure module, define each year, levels of curriculum, classes and options offered to students.